The most celebrated team of last year’s regular season was Helsinki Jokerit: the jokers didn’t disappoint their fans and showed good hockey. KHL.ru summarizes Jokerit’s 2017/2018 season. 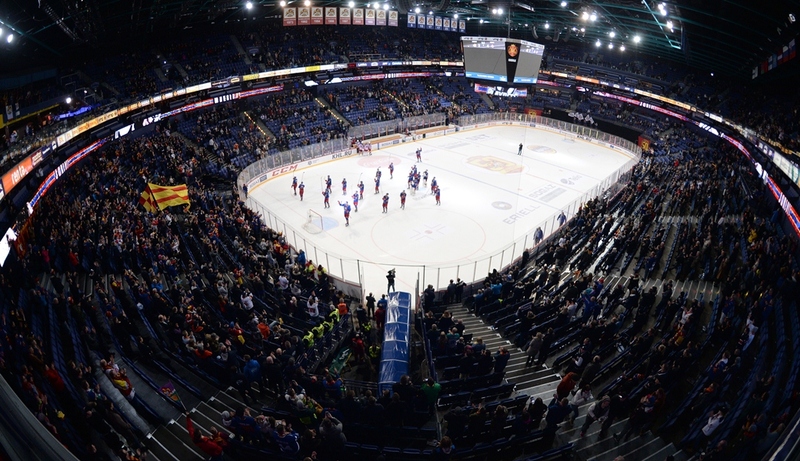 During the tenth Kontintental Hockey League season Jokerit celebrated its 50th birthday. During the whole season several events were organized to celebrate such an impressive achievement. The culmination of the celebrations was the first KHL regular season game on open air. The results of the Finnish team were good on ice too as Jokerit ended on the third place in the Western Conference behind CSKA and SKA. The Helsinki team had a very thoroughly preparation towards the 2017/2018 season. The previous campaign wasn’t the best for the Jokers as they got to the playoffs only as the eighth seed and lost 0-4 against CSKA Moscow in the first round, thus they needed to improve. A serious motivation boost was of course the 50th birthday of the team, to be celebrated in 2017 Winter, but a few off-ice events can’t make up for a good result on ice, thus they needed to show their worth on the rink. The Helsinki team started with a few swing, but then the team led by Jukka Jalonen had an amazing streak of 15 wins on a row, with only one of them being an OT win. During the six-weeks streak, the Finns managed to defeat CSKA 4:0 and also to get the best out of the top teams of the Eastern Conference, Salavat Yulaev Ufa and Ak Bars Kazan. The Jokers’ triumphal parade was stopped by their closest neighbors, SKA St. Petersburg, who also were in the middle of a great streak, perhaps even more impressing. Later in November, Jokerit had another great streak with seven games in eight games, three of them without allowing any goal. By the way, shutouts need to be mentioned apart. The regular season leader for shutout games was Jokerit goalie Ryan Zapolski. This was the second season in the KHL for the 31-years-old American netminder, by far the best one. Ryan had nine shutouts, was named once the best goalie of the month (and another twice the best goalie of the week) and was called to the All-Star Game. The first half of the season was very successful for the Jokers, even if counting the little swing they had in late October. One of the biggest reasons for their success was the great acquisitions during the summer. The Helsinki-based team signed one of the top-scoring defensemen in the league, Sami Lepisto, from Salavat Yulaev Ufa, the Danish national Nicklas Jensen from North America, who scored 20 goals during the regular season, and the successful teenager Eeli Tolvanen, a Finn starlet with a great shot and an even better nose for the net. However, Jokerit didn’t manage to play the whole season at the same high level. In the second half of the season, the team led by Jalonen relaxed a bit too much and, as a result, before March 1 they lost two games in a row for three times. This problem, however, didn’t have any significant effect on the standings, as the difference in points within the Western Conference was so big that the team never left the third place, saving itself from meeting SKA St. Petersburg in the second round. In the first round, Jokerit faced HC Sochi, and the first game was won by the team led by Sergei Zubov. But in the rest of the series, the Finns didn’t give any chance to their opponents, defeating them twice with a 7:2 score and winning two games with an overtime. Jalonen’s main weapon was Tolvanen, who scored five goals in five games. In the next round the Finnish team faced CSKA Moscow, but they couldn’t defeat the Red Army. The first two games were won by CSKA with a general 6:0 score, but then Jokerit proved wrong the ones who already thought that they were going to surrender. In the next three games Jokerit won twice, and the fifth clash was the most memorable as it became the longest game in the history of the KHL. The game-winning goal was scored only at the 143rd minute, and its author was Jokerit’s forward Mika Niemi. In this game the Finnish team gave its maximum, and out of mental and physical tiredness their season ended at the sixth game of the Western Conference semifinals. In 2017 October it became clear that, no matter the result, Jokerit head coach Jukka Jalonen will leave the KHL to coach the Finland national team. The specialist already guided the national team, winning the IIHF World Championship gold medal in 2011. 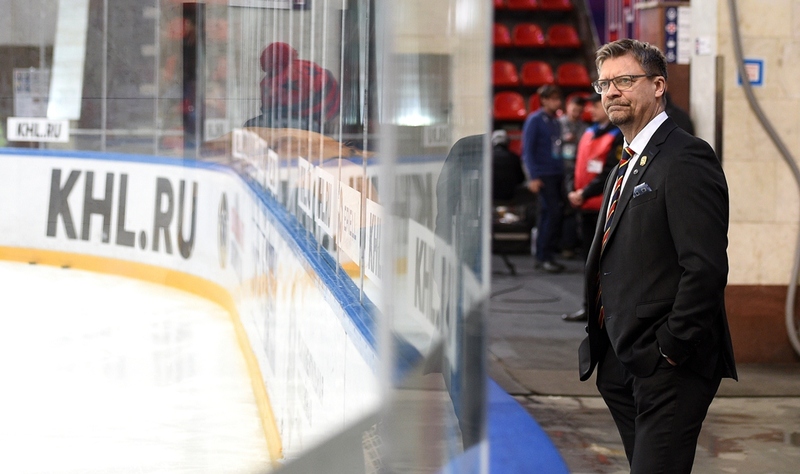 Jalonen arrived in Helsinki in 2016, and before of this job he coached SKA for two years (winning the regular season champions title), then staying without a club for two further seasons. Jokerit didn’t win any KHL medal, but Jalonen’s team played very good hockey, competed hard and the fans thanked him for the great job he had. Of course, here it could be mentioned the 4:0 win against CSKA in September, or even the incredibly long game they had in the playoffs, but the first game that comes to the mind is another one, and Jokerit didn’t even win. But it was definitely the best game. To celebrate Jokerit’s 50th birthday and the KHL’s 10th season, Jokerit and the league decided to play a game in open air on December 2 at the Park Kaisaniemi. 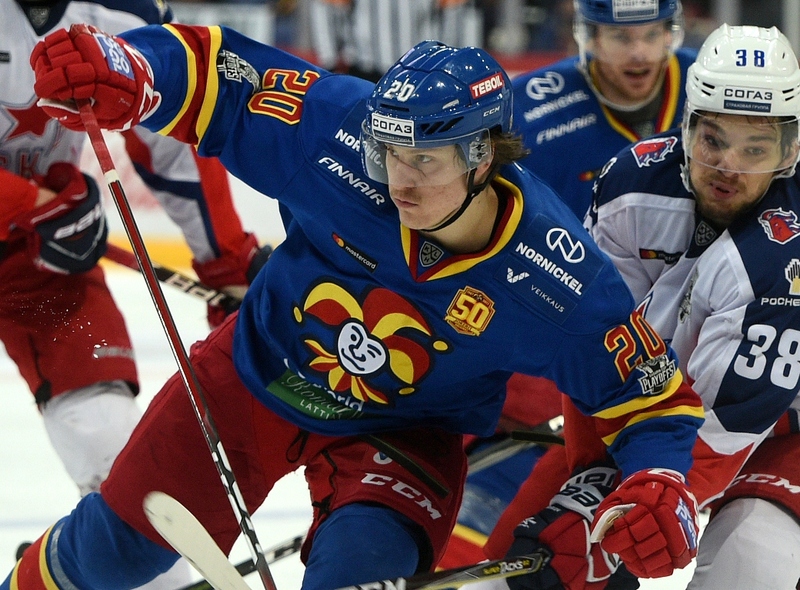 Jokerit’s opponents were SKA St. Petersburg and it was truly memorable. More than 17,500 spectators attended the game, becoming a new attendance record for the league. The atmosphere was incredible, but the game was even better. Jokerit managed to make it a tied game twice and fought until the final horn. This game will be remembered for a lot of time. 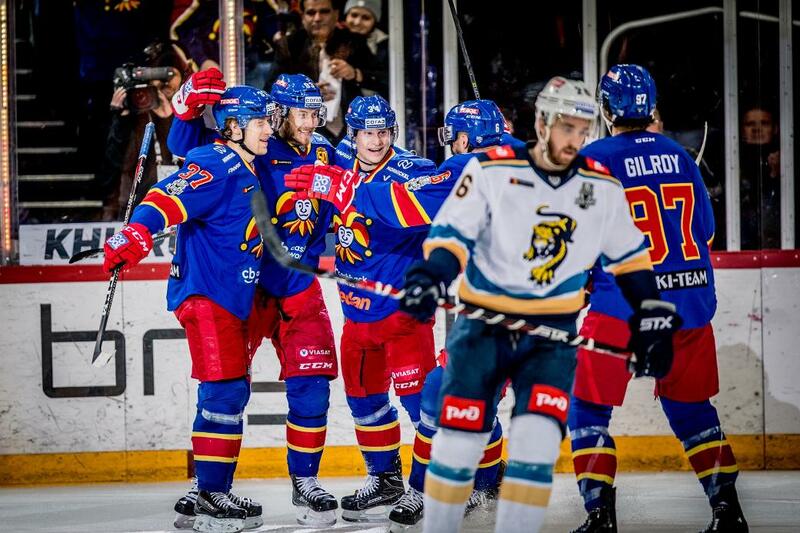 During the 2017/2018 season Jokerit twice lost with a 0:4 score. The first time it happened during the regular season as on October 30 Barys scored them four unanswered goals. The Finn team had 82 shot attempts, with 44 shots on goal, but they couldn’t beat Henrik Karlsson. The second 0:4 loss happened on March 16, in the first game of the second round of the playoffs against CSKA Moscow. This time the loss was more deserved, as the Red Army defeated Jokerit in pretty much any aspect of the game. Eeli Tolvanen was awarded with best rookie of the week honors for six times. A further time he was the top forward of the week and twice the best rookie of the month. The kid didn’t simply get to the KHL, but took it by storm as he scored a hat trick in his very first game in the league. Earlier, Tolvanen was playing in the USHL and he made the right move signing with Jokerit. He started the season scoring with an incredible rate, 20 (11+9) points in his first 15 games. Later he cooled down a bit, but he finished the regular season with 36 points in 49 games. If that’s not enough, he represented Finland at the Olympic Games, making it to the All-Star team of the tournament, being its third top scorer. During the playoffs, the 18-years-old guy (he turned 19 only in April) played a bit less efficient, but once Jokerit finished his season he moved to the NHL, where he intends to play even in the future. If compared with the two previous seasons, the Danish forward Peter Regin seen a significant decrease in his production. His 48 points in the regular season (he maintained this level for two seasons) was changed by 29 (8+21) points. That being said, it’s hard to call this season a true disappointment: Regin’s ice time went down, and his role in the team passed to other players. Most likely, the Finnish public expected more from the return of the then KHL top goalscorer Steve Moses, but he didn’t have too much time for his adaptation.